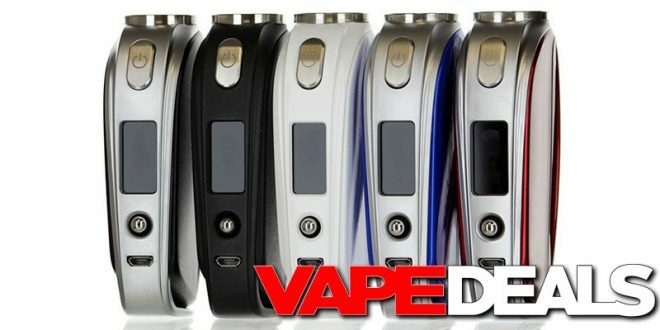 After Eightvape announced their Cool Down Close Out Sale (yesterday), I started digging through their selection to see what kind of deals were available. Here’s 2 good ones that may interest a few of you. The YiHi SXMini MX Class is currently on sale for $99.99. Remember: in order to qualify for the $15 discount, your cart total must be over $100. So, I went to their ACCESSORIES category, added the cheapest item I could find (a $0.20 drip tip), and the grand total ended up being $85.19. Not bad considering several US vendors are still selling this one for around $150. You can also pick up the YiHi SXMini G Class for $189.99 (automatic $30 off orders $200+). Check out the link below. I’m not sure how long these extra discounts will be valid for, so don’t wait too long to stop by.